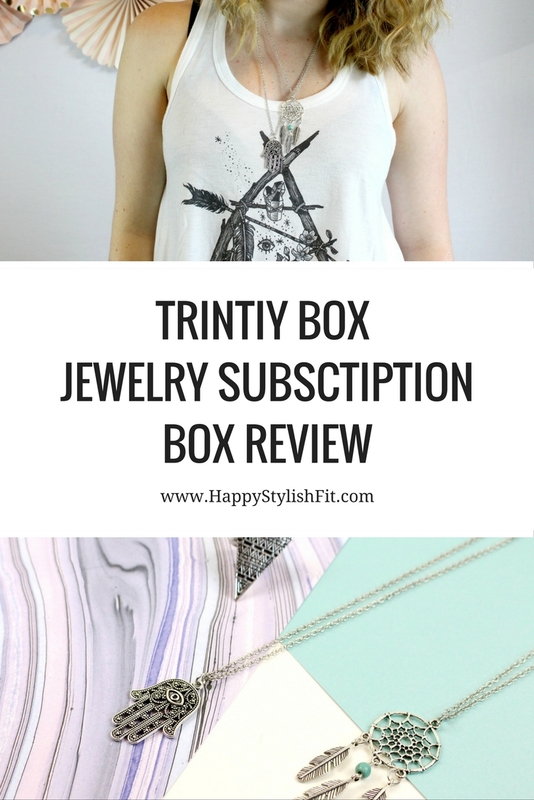 This is the second month I received the Trinity Box jewelry subscription box (check out July’s review), and the jewelry continued to be the same style and matches everything from the previous month’s box. Trinity Box has recently expanded to offer quarterly boxes in addition to their monthly boxes. This box is the monthly version which includes 3 pieces of jewelry: 2 necklaces, and a ring. If you’d like to see my first impressions of the box you can check out my unboxing of it on Facebook live. The Trinity Box items always have a very boho chic type vibe to them that I really like, and for the affordable price, it’s a great little treat to receive in the mail every month/season. Trinity Box also donates a portion of all proceeds to a charity of your choice. You can find the full list of charities in last month’s review. 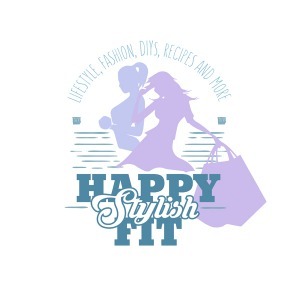 All of the pieces are quite versatile and are of decent quality for what you pay. The packing of the box wasn’t quite as cute as last month’s, but it still had basic pink tissue paper and included a little note about the ring which was helpful. The ring is a little bit big for my liking, especially for a midi ring. After I looked at it for a while I don’t think I’ll end up wearing it. If I wear larger rings it’s always as a normal ring, and I leave midi rings to be more of a cute accent. That being said I’m really happy with the necklaces. 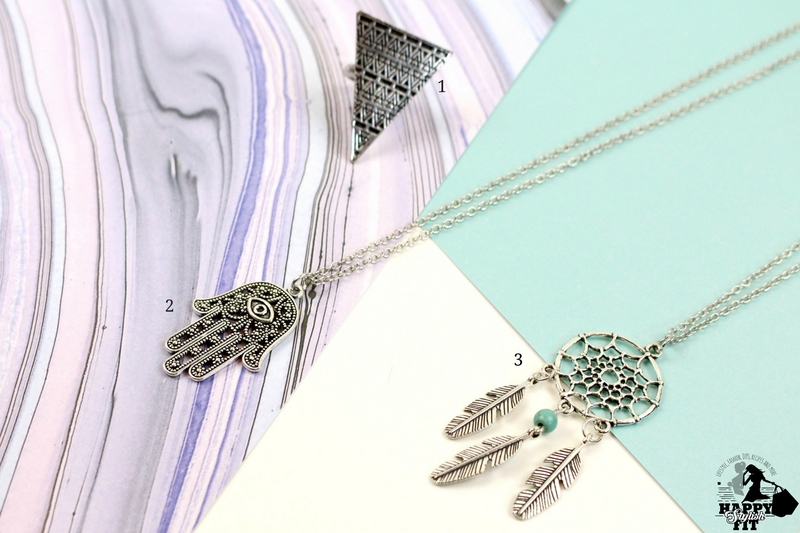 The hamsa one is a little bit longer so they could be layered together for an on-trend look. 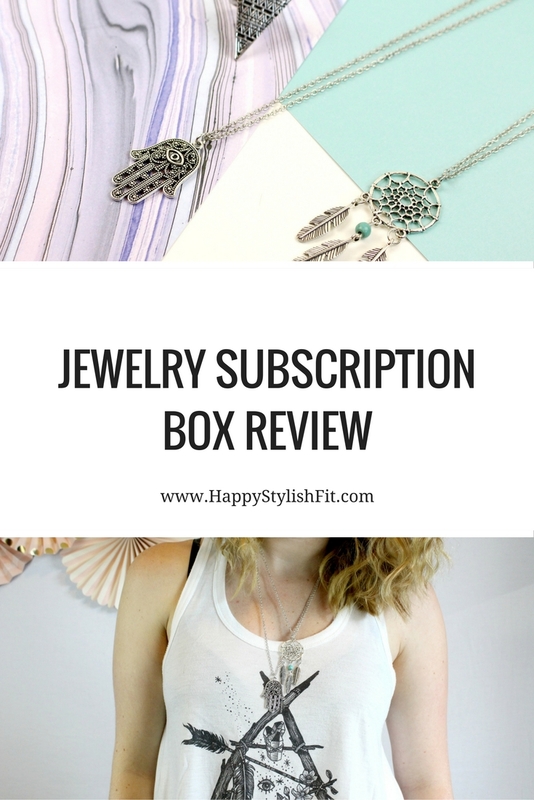 This monthly jewelry subscription box is fun to receive, but it may get to be the same old if receiving it every month for 6 months as all of the jewelry is the same style. I’m really curious to see what the quarterly box is like and how many pieces would be included. It could be nice if they were to have a different theme each month, that way the items wouldn’t get too repetitive. Having everything the same style is nice for matching, but you only need so much of it. 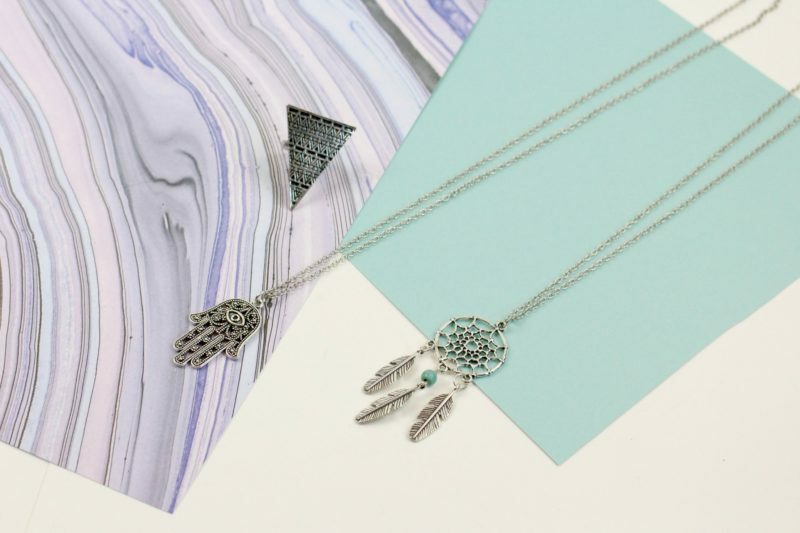 My favourite item in this month’s box is the dream catcher necklace, which one’s yours? Overall it’s fun to have, but I don’t think I’ll be continuing my subscription. I’m still on the lookout for jewelry subscription services that deliver to Canada. If you know of any please let me know! 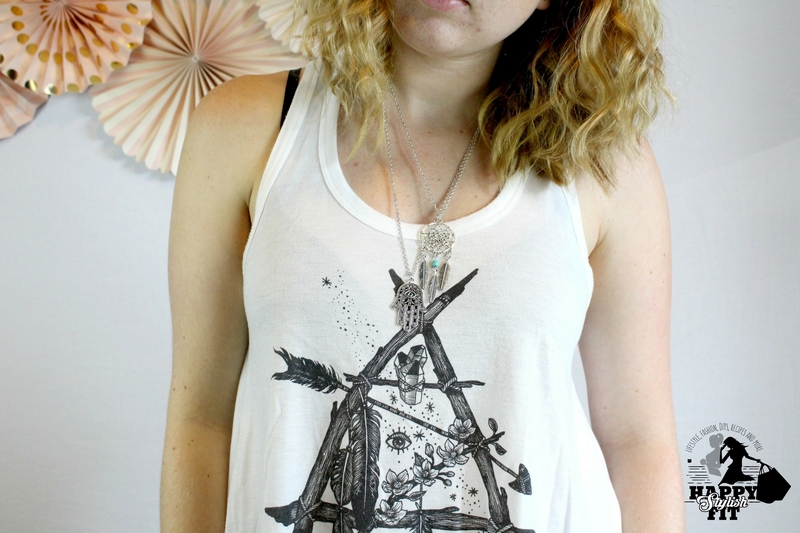 I like the dreamcatcher necklace also! Amazing Review “Trinity Box jewelry”. Thanks Krish, glad you enjoyed. It’s such a fun box!